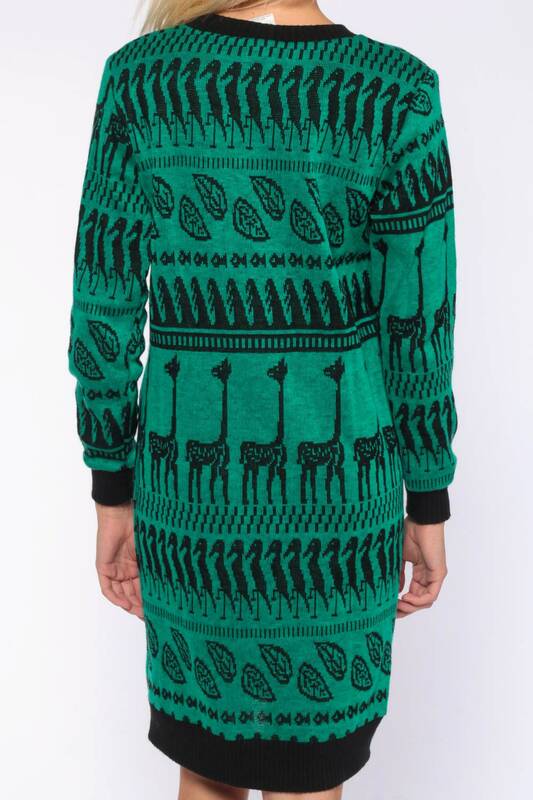 Vintage 80s sweater dress in green with a giraffe design. 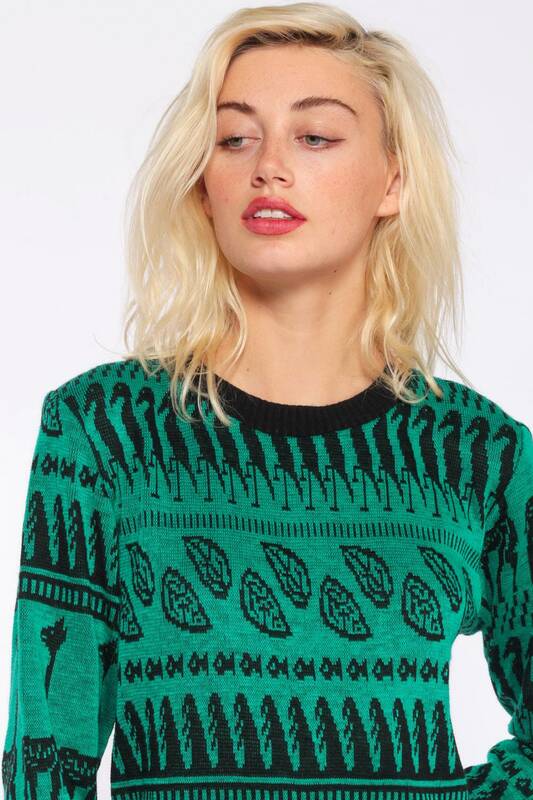 Straight shift cut with long sleeves. Midi length. Best fits women’s: Labelled size 9. Fits Small to medium. Material: Acrylic / Polyester blend.